A sure way for a playwright to attract attention is to make his or her subject matter relevant. 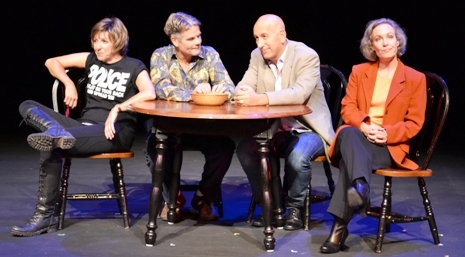 DIVORCE PARTY, The musical does so – in spades. Our family has experienced divorces, males leaving the marriage for a male partnership, and especially, realize the importance of true camaraderie and support. Mark Schwartz is a Broadway luminary with multiple Tony’s™ to his credit. Amy Botwinick is renowned for her series of ‘Chicken Soup for the Soul” books. Jay Falzone is a multi-faceted writer; lyricist & choreographer. This triumvirate have created a triumphant (sorry, couldn’t help myself) ode to indomitability and regeneration after a demoralizing and unexpected social upheaval. Something new; something exciting; something really worthwhile. Not a ‘new & improved dish-soap’ or yet another ‘miracle hair shampoo’ – but a cultural evening with a twist! 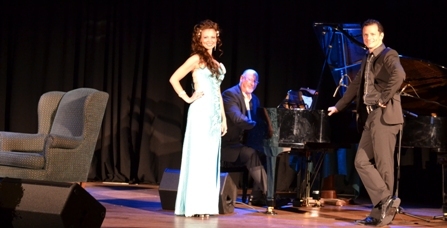 The multi-talented composer/arranger/director/orchestrator par excellence, Charles T. Cozens,aided by local impresario Rick McKenzie (who did so much to rejuvenate the LYRIC theatre) is bringing a monthly concert experience to the Lincoln Alexander Centre. SEMTEX™ is a powerful explosive; but without a fuse or blasting cap; no more dangerous than putty. Great compositions are similar; monumental – but needing that igniting spark to be a volatile performance. 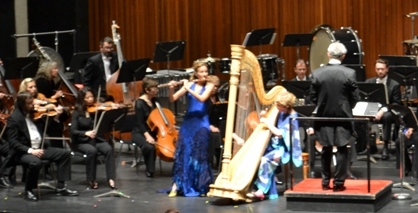 The Hamilton Philharmonic Orchestra’s inaugural 2012-13 Masterworks concert failed to ignite and was musically asymmetrical ranging from pedestrian, to boring, to immaculate. Toronto: – its’ Taste of the Danforth; the Beaches – renowned jazz Festival; Oakville – ‘Midnight Madness, and HAMILTON — The James St. North ‘CRAWL’! Like those counterparts; ‘The Hammer’ shuts down the street to vehicle traffic and turns it over to 50,000 pedestrians [and oftimes – accompanying pets!] to see, to eat, and be entertained. In spite of our erroneous reputation as a lunch box town, we’ve culture up the kazoo and we display it every September. Today was no exception. 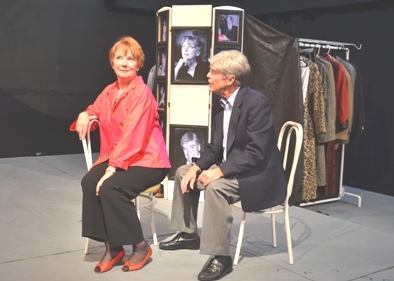 Norm Foster’s comedy/drama about dating and singles’ existence for the over-forty crowd has the ability to touch its audiences; whether personally or through knowledge of ones’ contemporaries. Being Jewish, Terry & I have an ingrained urge to be matchmakers whenever we meet someone unattached. On rare occasions, we’re successful.